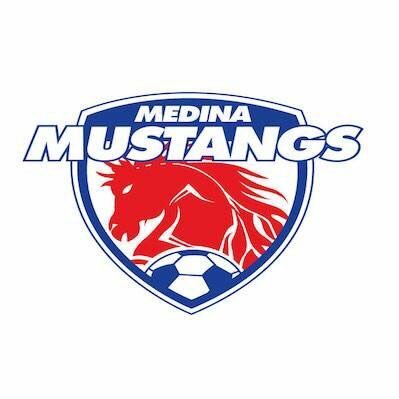 Barry Rogenmoser and his Medina Mustangs enter the league in D3. He shared how the Mustangs came to be and their goals as a first year BDSL club. BDSL: Thanks for joining us today Barry. Your side joins the league as our eastern most club. What prompted you guys to joining the league and why did you choose BDSL over RDSL that is similarly distance wise for you guys? MM: Medina has been trying to get a men's league together for a while now, but this year we had a lot more interest because of our under-19 team falling through. Because of this anomaly, we were able to take the older and more talented players from that team, and combine them with our local alumni. We ultimately chose the BDSL over the RDSL because it’s closer. However, Steven Anderson and I really enjoyed our time in the BDSL playing with Aurora Arsenal, and we knew that our guys would be talented enough to be extremely competitive in any of the starting divisions. BDSL: So it sounds like this group will be used to playing together? Do you thing that early chemistry will help you guys in your first season vs other new teams? What sort of expectation do you guys have for year 1? MM: For the most part, we've all played together at some point in time, whether that was during high school, in summer leagues, or at alumni games. I don't think our chemistry will develop instantly, but I believe once we do get back into it, we will be a powerhouse squad. Because it may take some time, we are going to orchestrate some preseason practices to hit our stride early, but when we do hit that stride--look out...because we are gunning for a promotion in year one. BDSL: With Promotion the goal, what sort of style should we expect to be seeing out of your side? Do you have a preferred style of play you'd like to be using or do you thing that you'll have to adjust that once you guys see how the rest of the division stacks up. MM: I think we will have to make adjustments as the season progresses. Honestly, it depends on the fitness level of the team. Don't get me wrong, we like fitness...but we would rather be fitness whole beer in our mouths than running a half marathon. BDSL: So long as they are enjoyed post game haha. If you had to choose to win the Wood Cup or the D3 championship, which would it be? MM: Winning Wood Cup would be a great way to make a name for ourselves as a new club; plus, we would get hella bragging rights. However, I think we would benefit more as a team from winning the D3 championship. That way we have a fantastic season under our belt and we can naturally progress into the D2 scene. BDSL: Roster wise who would you think are the players to look out for on your team? Is their one big standout? MM: Honestly, we don't have any single standouts. Our whole roster is full of really solid team players. We picked the best few guys from each Medina graduating class; many of us played in college or currently play in college. I am thankful that we don't have to rely on one star player. You could randomly pick any 11 players from our roster and the team would be successful. BDSL: Is there anything you'd like the league to consider adding changing or improving upon? MM: I can't think of anything as of right now, but maybe when the season starts I'll find a reason to complain. BDSL: Anything else you want to add that we didn’t talk about? MM: Not that I can think of at the moment. We are just very grateful for the BDSL providing us with a league to play in and we are really excited for the season to begin.